With the insights provided by our industry-leading research reports, your business can explore new opportunities for growth, identify challenges and evaluate the market for content, key products and services. Our analysts cover a variety of sectors within the media & telecoms industry, providing data, research and actionable insights that help businesses expand their reach into new markets and benchmark their current performance and future growth trajectory. Through our regional experience, local knowledge and global perspective, your business will benefit from a clearer picture of your customers and market segments. Gain insights into markets, customer segments and industry trends. Pay-TV stakeholders in Asia Pacific are adjusting to new realities forged by the growth of high-speed broadband. 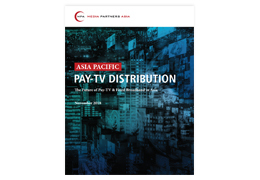 This definitive guide analyses the commercial distribution of pay-TV across 17 Asia Pacific markets. Online video has become media’s most active, most disruptive and most talked-about sector, fueled in Asia by telco investment in fast and affordable broadband networks. 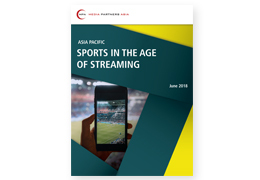 This comprehensive report reviews the drivers and dynamics shaping the fast-moving online video and telecoms industries across 14 Asia Pacific markets. 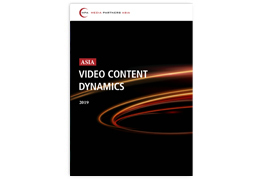 Asia’s video content creation, distribution and consumption landscape is experiencing unprecedented change across TV, online and theatrical segments, driven by increased choice and competition. Tables and KPIs can be provided in Excel. 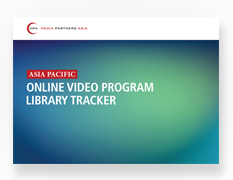 Our online video program tracker provides a comprehensive comparison of content libraries for leading global, pan-regional and local OTT platforms across Asia Pacific. 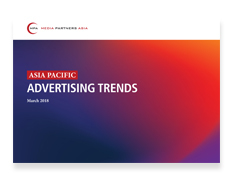 Advertising is a major pillar of media revenue that supports vibrant content ecosystems across Asia Pacific, especially in TV, online video and digital media. This authoritative report assesses and projects key advertising trends across all major media in 14 markets. A complimentary publication for MPA clients providing concise analysis of key trends, deals and events across the industry, including interviews with industry leaders as well as updated metrics, equities and industry-relevant rankings. 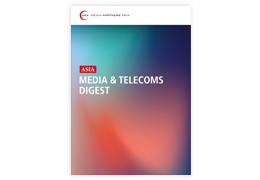 These include macro, advertising, TV, internet, mobile and broadband indicators across 14 Asia Pacific markets, KPIs for broadband and pay-TV operators, and global and Asian media and telecom stocks. 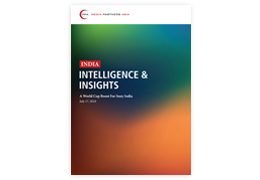 Our local product, India Intelligence & Insights offers exclusive research and analysis on the fast-growing but converging media, telecoms and technology sectors in India. Digital distribution. Analysis covering consumer product offering, pricing, packaging and reach across distribution platforms including cable, DTH, mobile and fixed networks, as well as physical form factors through smart devices, set-top boxes, and connected hardware. Content industries. Depth and width of entertainment, highlighting consumption patterns, cost trends and monetization potential for video content and beyond, including emerging formats like AR, VR, online gaming and commerce. Company analysis. MPA’s local presence also assists in identifying and appraising key media assets with comprehensive analysis of company’s business models, revenue segments, competitive and regulatory landscape. Research backed by numbers. Our quantified research adopts a bottom-up approach drawn from primary channel checks with stakeholders across the industry ecosystem. Global perspective. Local know-how combined with insights drawn from MPA’s regional team covering 14 markets across APAC provides a deeper perspective to underlying domestic trends. Asia’s film industry, a powerful force in key production centers such as India and Korea, is primed for growth across the region, driven by urbanization and economic growth. 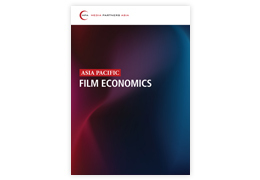 This new report looks at film production and distribution across theatrical, TV and OTT windows in eight major Asian markets.